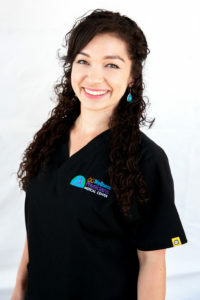 Jessie earned an associate’s degree as a Physical Therapy Assistant from Stanbridge University after graduating with a Bachelor’s of Science in Kinesiology from California State University, Fullerton. She works in multiple environments including skilled nursing, in-patient, aquatic and land outpatient orthopedic. Jessie enjoys using IASTM manual techniques to adjunct to joint mobilization and corrective exercises in developing an effective plan of care, and is a certified Senior Strength Training Specialist through Geri-Fit Company, LLC. Her hobbies include salsa dancing, traveling, hiking, and working out.